Season 28 News: Two Sneak Peeks for Friends and Family have been released! Two Sneak Peeks for the upcoming 2nd episode of season 28, titled “Friends and Family“, have been released by FOX. The episode airs October 2, 2016. A new Guest Star for the upcoming 3rd episode of season 28, titled “The Town“, have been released by FOX. The episode airs October 9, 2016. Mike Mitchell will guest star as Boston football fan alongside the already announced Rachel Dratch as Doctor, Bill Burr as Townie, Dana Gould as Murphy and Doris Kearns Goodwin as herself. 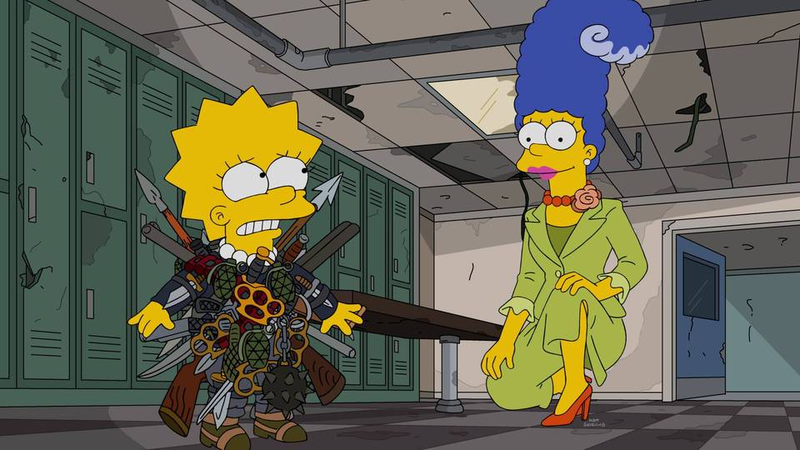 The Plots for the upcoming 600th and 601st episode of The Simpsons, 4th and 5th episode of season 28, titled “Treehouse of Horror XXVII” and “Trust But Clarify“, have been released by FOX. The episodes air October 16 and 23, 2016. 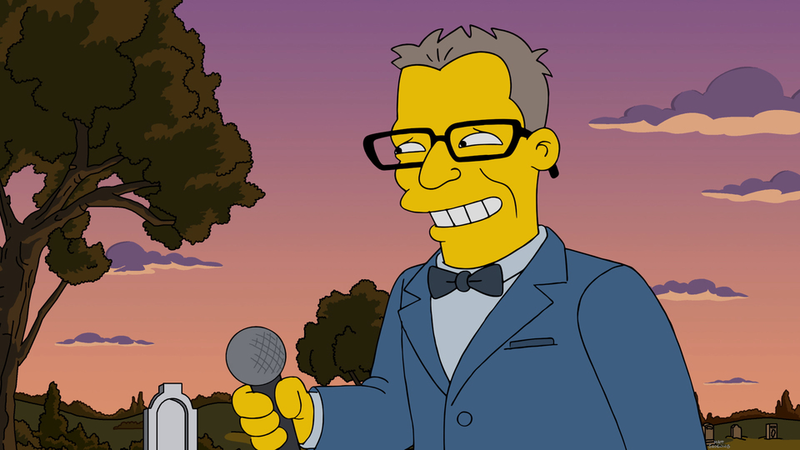 In the midst of a major drought, Mr. Burns introduces a Hunger Games-style contest in which Springfield’s children fight each other for a day in Burns’ personal reservoir. Meanwhile, Lisa‘s imaginary best friend, Rachel, is jealous of Lisa’s real best friends and starts killing them. Moe tells Bart that the barflies are actually covert agents and that he wants Bart join their team in Homer‘s place. Lisa and Bart investigate Krusty‘s suspicious new “Krustaceans” candy. Meanwhile, Homer wants a promotion at the nuclear plant and asks Marge to help him dress the part, and news anchor Kent Brockman struggles to find his feet in the changing media world. Dan Rather will guest star as Himself. Season 28 News: Four Promotional Images for “Friends and Family” have been released! Four Promotional Images for the upcoming 2nd episode of season 28, titled “Friends and Family“, have been released by FOX. The episode airs October 2, 2016. 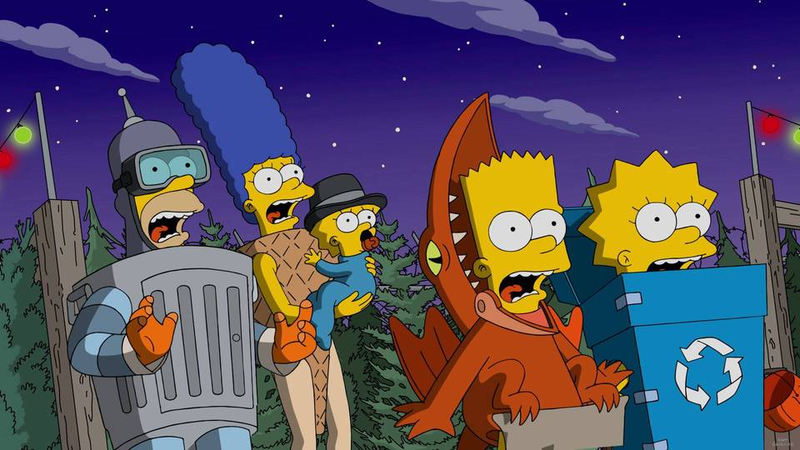 Season 28 News: Six Promotional Images for “Treehouse of Horror XXVII” have been released! Six Promotional Images for the upcoming 600th episode of The Simpsons, 4th episode of season 28, titled “Treehouse of Horror XXVII“, have been released by FOX. The episode airs October 16, 2016. Amy Schumer guest-starred as Burns’ mother, and also guested in “Bob’s Burgers” and “Family Guy”. 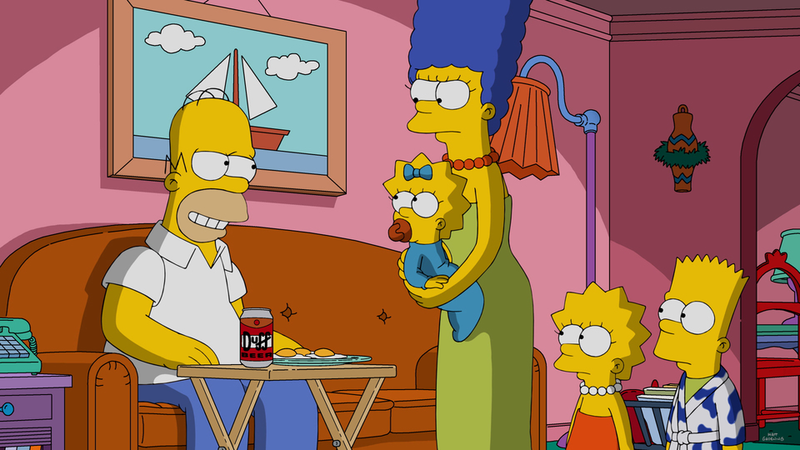 You may have come across many saying The Simpsons isn’t as popular as it once was – that’s a given, but the importance of it to Fox’s Sunday night schedule is clear to see. 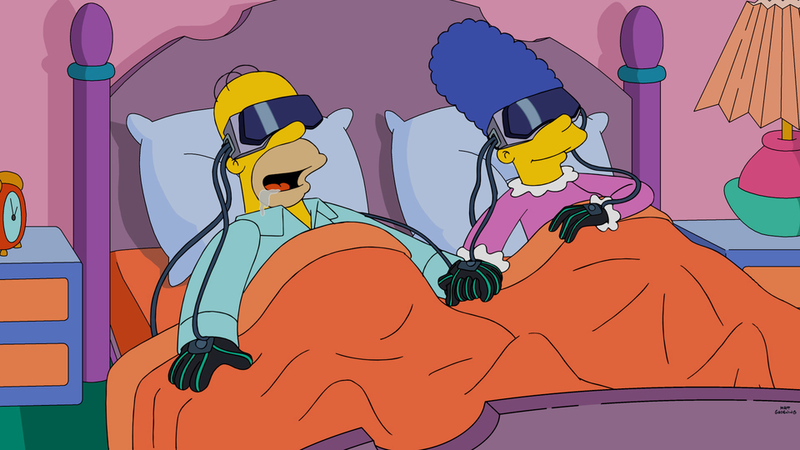 Sunday night (September 25) saw the beginning of the predominance of this season’s Sunday lineup on US TV, with The Simpsons coming top for Fox and coming second outside of sports amongst the coveted 18-49 demographic. The season premiere, in the final ratings, had a 1.4 rating, down 0.1 from last year’s season premiere (and down from the preliminary ratings with a 1.552 in unrounded), but had 3.364 million viewers (adjusted down from prelims with 3.672 million viewers), up from last year’s 3.279 million viewers; in terms of viewers, the show came seventh on the night excluding sports. The show also had a 5% share in 18-49 viewers, and was the top show on FOX all night, being the only show over the 3 million barrier on the network. Elsewhere, Fox’s lineup with veteran animated shows Family Guy and Bob’s Burgers was solid, with a 1.3/4 rating and 2.796 million viewers and a 1.1/4 with 2.601 million viewers respectively. New show Son of Zorn more than halved from its pre-season premiere to 1.1 and had just over a third of the premiere’s total viewers, with 2.821 million viewers. Zorn also had 4% of 18-49 viewers. Ratings elsewhere were also deflated, with CBS and ABC especially suffering from strong opposition from NBC’s Sunday Night Football which peaked at over 7.6 and 21 million viewers, which won the night in both 18-49 and total viewers. CBS’ night was uplifted slightly by earlier football. FOX came third overall on the night. FOX’s shows (at least which ones did) declined so much from preliminary ratings as NFL football ran late in 4% of the country and delayed the lineup in those areas, and so football ratings were included in the other shows, which were unscrambled in the final ratings. Season 28 News: A Laughable Force next sunday on Fox! A new trailer for next sunday’s episodes of Fox Sunday has been released. The second episode of season 28, titled “Friends and Family“, will air on Sunday October 2nd. 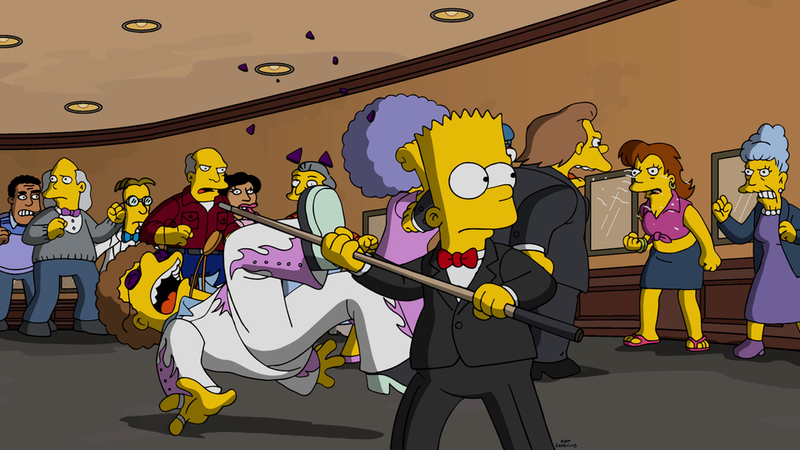 Season 28 Premieres tonight with “Monty Burns’ Fleeing Circus”! 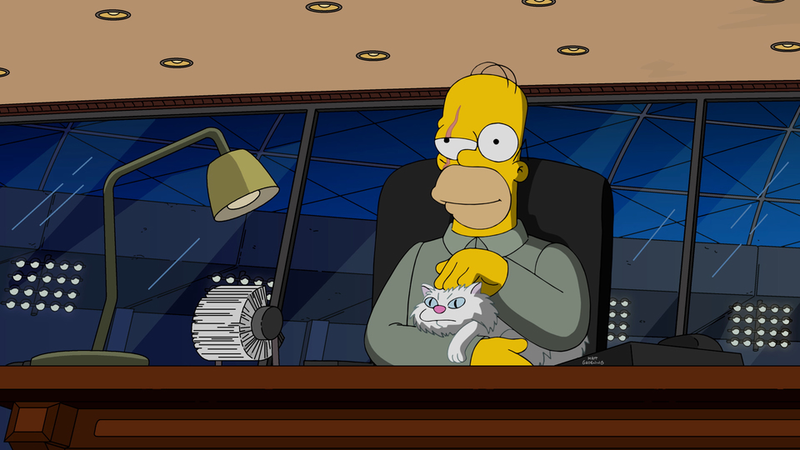 The very first episode of the 28th Season of The Simpsons premieres tonight at 8/7c on FOX! “Monty Burns’ Fleeing Circus” will kickstart the season, with Amy Schumer as Mr. Burns’ mother. 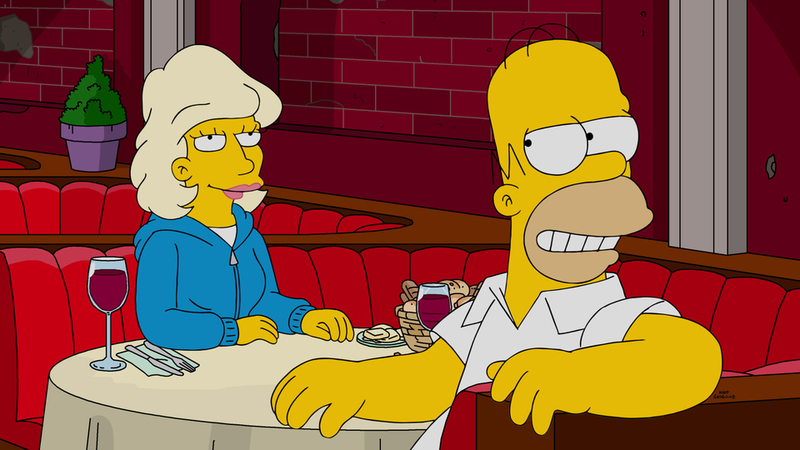 Al Jean reports to Voice of TV and Uproxx: “We said a good character for our plot would be that she’s Burns’ mother in the past and kind of the source of this unhappiness that he has that’s haunted him to the present. She recorded it over the phone, and she was very funny. It’s not a huge part, but that was because we didn’t have the actress until a little late in the process that we knew who was going to be in all three shows.” There will also be a reference to The Blues Brothers. Be sure to tune up on our page about the episode right here for all the infos you’ll need and stay tuned for more! Season 28 News: New informations for the season have been revealed! 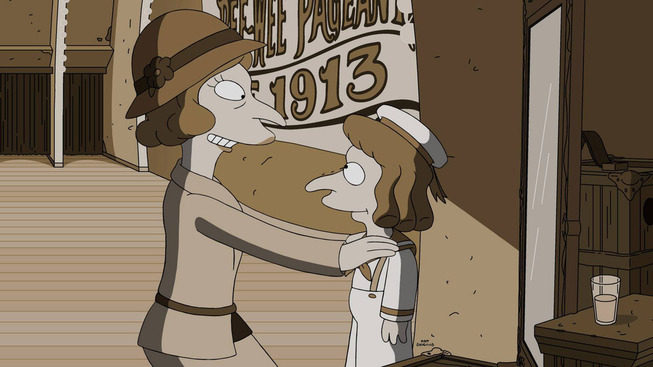 New informations for the upcoming season 28, starting tomorrow at 8/7 on Fox with the Season Premiere titled “Monty Burns’ Fleeing Circus“, has been revealed in an interview by EW to Al Jean. “We have a Christmas show where we satirize Elf on a Shelf — it’s called Gnome in a Home. They put this thing in Maggie’s room and it terrifies her because it’s looking at her nonstop, and they tell her it will tell if she’s bad or good or wets the bed.” Rabbi Krustofski, Krusty’s father, will return in an allucination to his son, this Christmas. 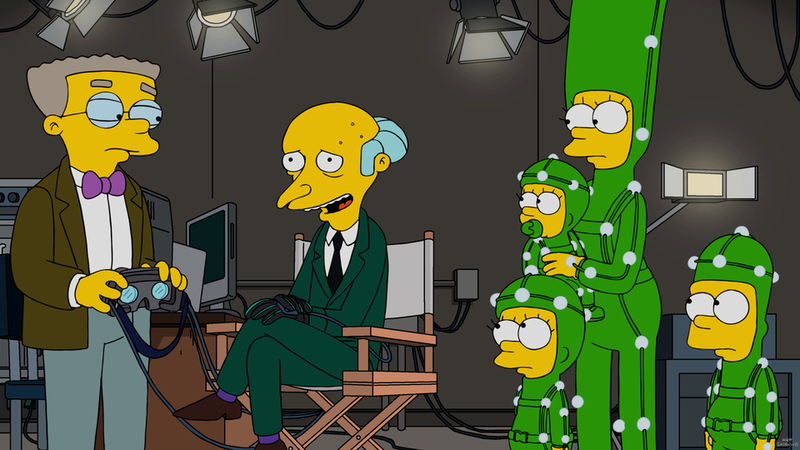 Season 28 News: Two Sneak Peeks for Monty Burns’ Fleeing Circus have been released! Two Sneak Peeks for the upcoming Season Premiere episode of season 28, titled “Monty Burns’ Fleeing Circus“, have been released by FOX. The season premiere airs this sunday, September 25th.